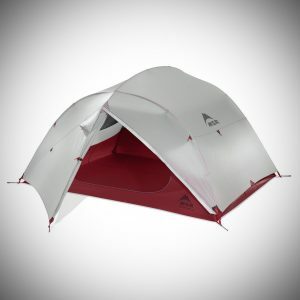 After using a seemingly endless amount of high end tents, below I have for you my personal favorites. 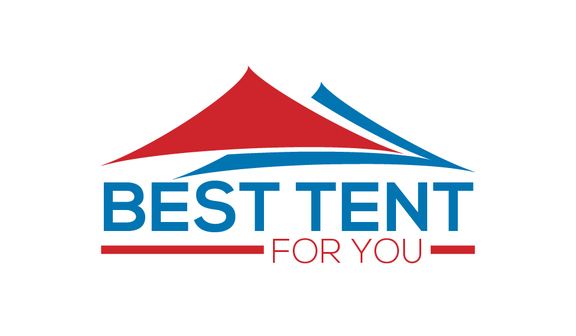 These are some of the most luxury tents for sale – their quality and features amongst other things is top notch. These tents are more than simply just a tent but a home away from homes and they will deliver an experience that you will never forget. In my Kodiak Tent review I was able to give this tent a detailed review but here let me highlight some of the reasons this Kodiak tent is one of the best tents I have ever used. One thing you will notice immediately once you unpack this tent is the material. It isn’t a polyester material which is a common choice in tents but instead it’s made from a canvas material which is waterproof. This canvas material is slightly heavier than its more common counterpart, though this means it offers more durability and can take a massive amount of punishment. Though you may have thought a material that is heavier and more durable may not be an ideal choice for summer camping or hotter weather, this is where this tent truly shines. This is because the material offers brilliant breathability and ventilation which is perfect for more hot and humid weather. It has all the essentials that you would want from a tent like simple and easy setup and very spacious inside and impenetrable waterproofing. One of the features I particularly like about this tent is the porch area at the front. I think it’s a brilliant addition that allows you to sit outside and be protected from the hot sun and to really chill in the shade. I personally wish more tent manufacturers would implement this into their designs because it’s something I miss when I am not using this Kodiak tent. 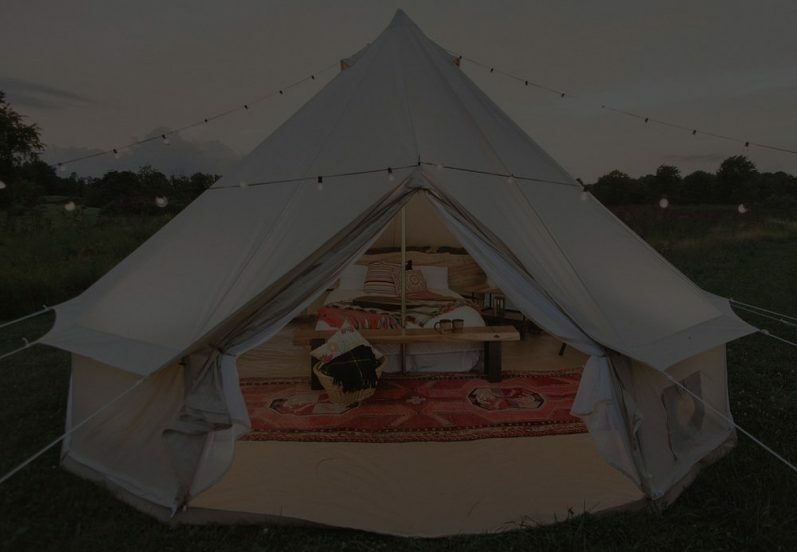 This tent really is one of the best luxury tents for camping. This MSR tent is a smaller size and is more suited to someone like a backpacker or hiker that can easily carry it without it overburdening them. The 3-person option which is the one I used weighed in at only slightly over 2kg which is extraordinarily lightweight. It is a perfect option if you want a tent that allows for immense portability. 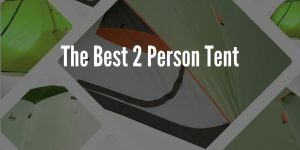 This tent is very easy to set up and take down which is perfect for who this tent is designed for. It comes with color coded clips and a sack which allows for the tent to compressed even further for the most minimal footprint possible. Though don’t be fooled by this tent being lightweight, the material it’s made from is very durable and will be able to handle being treated rough for a long time I am sure. 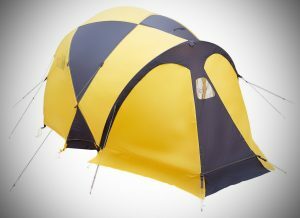 If you are a hiker, backpacker, trekker or anything of the sort this tent is an ideal option for you! This tent is really pure luxury. It screams quality all over and really reminds me of why people came up with the word glamping (glamourous camping). Though this tent is nothing like the last tent, it’s a great choice when you are camping and are staying somewhere for longer than a single night. This tent comes in 2 sizes one 4-meter diameter and one 5-meter diameter both of which offer immense spaciousness and room inside. This is somewhat to do with the structure of the tent offering plenty of space, especially towards the center of the tent. 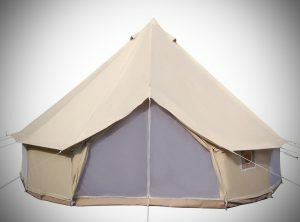 This tent is another tent that is made from canvas and is an ideal choice particularly for warmer weather. One of the main concerns people have said to me before buying this tent is the set-up time. While this tent may be big don’t be scared by that because I was able to set this tent up solo in about 10 minutes’ flat. This tent is high quality throughout, and the seams are great quality. This tent is a called dream house and after using it yourself you will soon find out why! While The North Face may not be known for creating tents they have done a superb job with this tent it is really high quality! 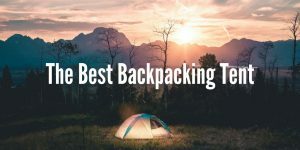 While this tent is marketed for people who are interested in expeditions that doesn’t mean you can’t use it for more recreational activities like hiking and camping. Though if you are looking a tent for all seasons this could likely be a suitable option for you. As you may have guessed the functionality of this tent is top tier, including the setup, the overall quality and materials and waterproofing. Just let me point out a couple of things I particularly like about it. The tents floor is fully taped and made from nylon which basically means its durable as all hell. Another small thing I like is the zipper pulls are glow in the dark. This may not seem like a big deal but when are struggling at night to find them you will be glad they are. 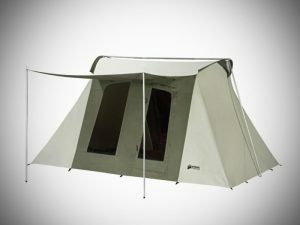 The final thing I would like to mention is the design and structure of this tent. I really like the yellow/gold color of the tent along with having a strong structure that is able to withstand extreme weather conditions. You get these features and more along with an included lifetime warranty which is always appreciated. 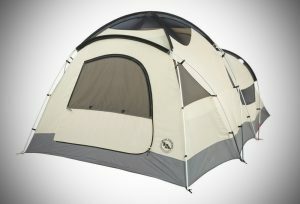 If you are looking for a luxury tent for camping with your family, this tent is a great size for a family of up to 5. Basically, the inside of this tent is made up of 2 parts, one main area and a smaller area which can be separated using a zippered wall. There are pockets inside the tent which can be used for storage, more storage like this than most other tents I have used which saves space inside for other things which is a nice touch. As you would expect this waterproofing on this tent is top tier, I got caught inside when it started to rain cats and dogs for 2 hours straight and I didn’t notice not a smidgen of moisture inside. Along with that the structure of the tent is very strong and can easily withstand winds of 30 mph in my usage. Another thing I would like to mention is ventilation is great somewhat thanks to the mesh door that can be zipped. Basically, with this tent you are getting everything you need in a tent and all the high quality materials and thoughtful design, things like the reflective guy lines and the zippers that always work as intended and never get stuck, these are things you really shouldn’t have to think of too much and Big Agnes has you covered as you never have to! 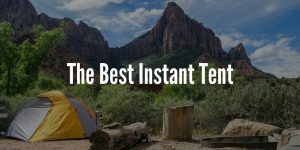 Top 5 Best Instant Tents in 2019 - Camping in an Instant!